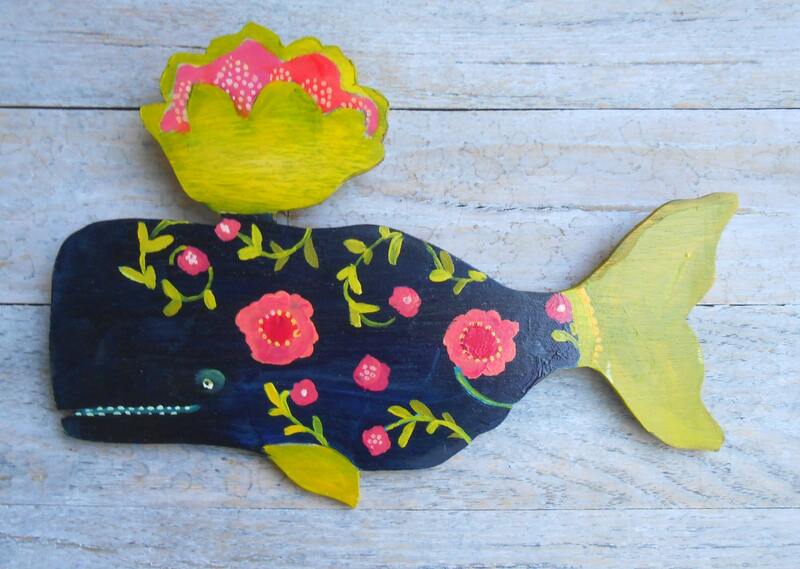 Aimee Navy and Pink Flower Whale wood wall sculpture. She is an original painting on wood-it's not a print! I hand scroll cut wood on my scroll saw then sand and lovingly hand paint directly on the wood with liquid and acrylic stains. It is signed on the back and has metal hangers for easy installation. 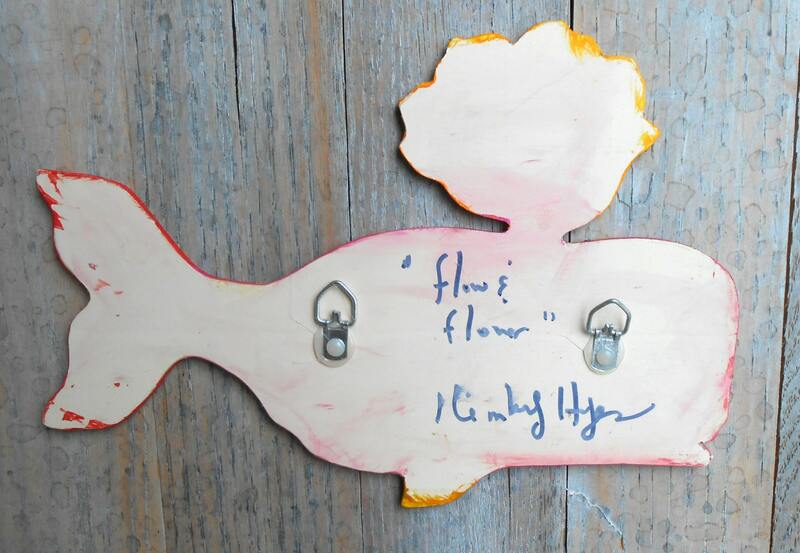 I call this series my "Flow and Flower" whales because I love the idea of flowing through life and flowering as you go. When we keep it all moving and flowing we blossom, right? :) I have loved whales ever since I was a little girl. Sperm whales apparently have the biggest brain on the planet. Wonder what they think about-what do you think? 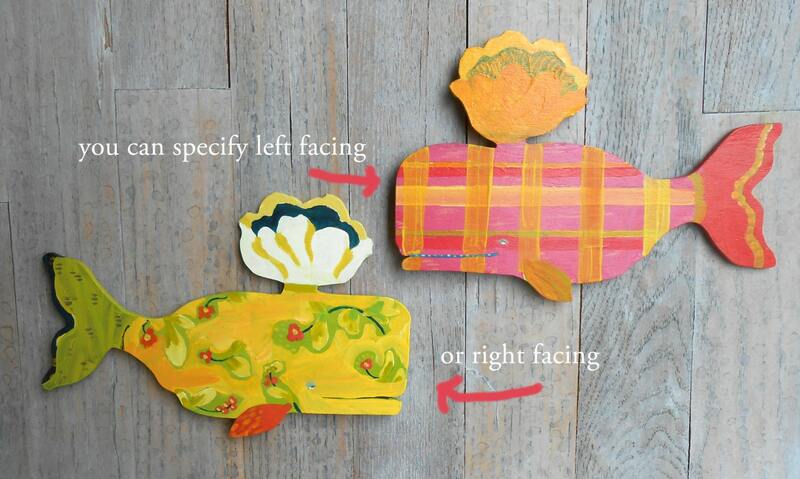 You can specify left facing or right facing. Aimee looks pretty darn adorable with various sizes and patterns mixed and matched for anyone's living space. I'm happy to create custom orders too for other animals so don't be shy to ask. Some of the pics show the small size, the larger sizes often will have more detail. Wood orders generally ship within one week of receiving payment for your order. If you need something sooner please convo me. Orders ship USPS and a tracking # will be emailed to you when I ship. 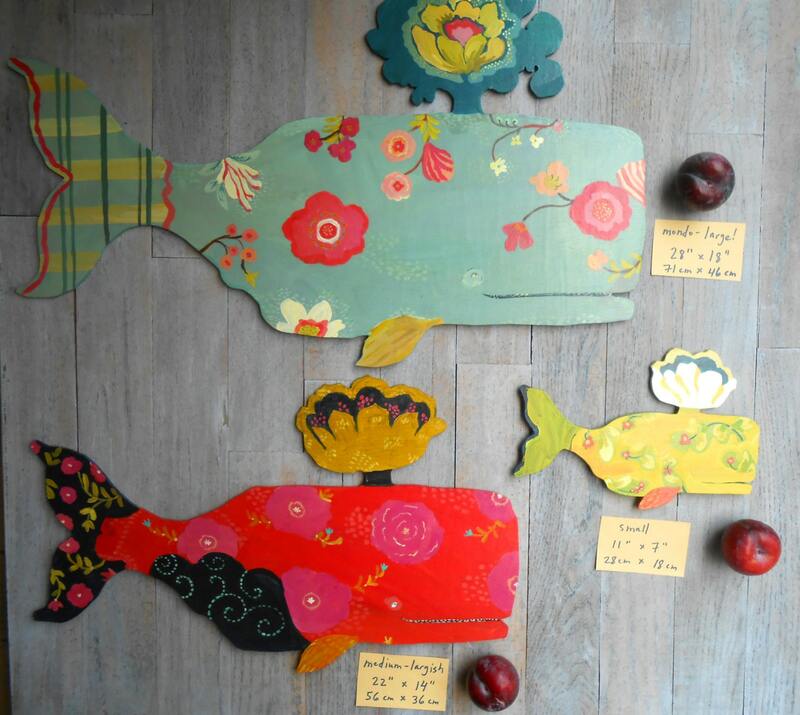 CUTE wood whales, that will bring those amazing colours to my kitchen. Thanks for adjusting the shipping charges.